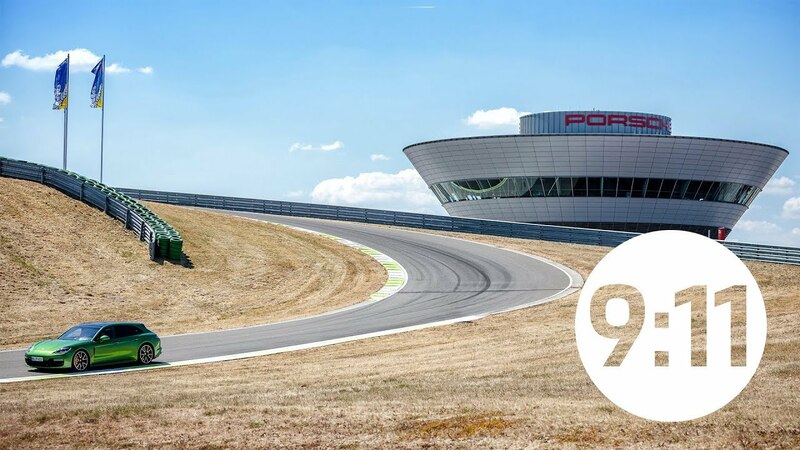 An extraordinary race track: The course on the grounds of the Porsche plant in Leipzig recreates eleven world-famous bends from the world of motorsports. A round-the-world trip from Brazil to North America and Japan and back to Germany: Porsche Leipzig offers a unique, FIA-certified paradise for cornering fans, where customers can also put their driving skills to the test. The first curve after the long straight is a bend straight from the USA: The original “Sunset Bend” can be found at the Sebring race track. It’s a fast right bend with high g-forces: “You have to hit the start of the bend at exactly the right point and then really hold down the accelerator so that you can move through the bend rapidly along the optimum line”, explains Tilke. Moving out of the bend at around 170 km/h, you reach the longest straight on the track. The “Loews Hairpin”, a right-hand bend with a slight incline, is known all over the world from Monte Carlo circuit in Monaco. “This bend is famous and notorious because it demands a tight steering angle. However, before you get to it you have to punch the brakes really hard, shift down smoothly and then steer cleanly into the bend”, says Tilke. The “Victoria Turn” is based on a bend in Rio de Janeiro. The original no longer exists. This left-hand bend with a barely perceptible incline has been recreated at the Porsche Leipzig course. Tilke’s assessment is as follows: “As you pass through the dip of the bend, you move from oversteering to understeering, which is what makes this bend so exciting.” Before the bend, Tilke recommends braking smoothly, reducing the vehicle speed and then moving into the turn with precision but without understeering. And don’t hit the accelerator pedal too soon! The spectacular right-left-right combination known as the “Corkscrew” is based on the legendary original at the Laguna Seca course in California. The rugged gradient of 12 per cent makes it impossible to look ahead into the curve of the bend. “You drive up into the sky, not knowing where you need to turn, before snaking along the steep downhill section; if you manage it – and really do it properly – you can be pretty pleased with yourself”, says Tilke of this driving experience. The “Parabolica” is a 180-degree bend that has been transferred from Monza to Leipzig. You can drive through this bend with an almost constant steering angle, but it demands a lot from both the car and driver alike. “This bend never ends; once you get in, it feels like you will never come out the other end”, says Tilke. Drivers must be prepared for high cornering speeds and strong lateral acceleration. The “Suzuka S” bend in Leipzig replicates a challenging section of the “Suzuka International Racing Course” in Japan. According to the expert: “This is one for the technicians out there. It’s for drivers who can concentrate. You have to drive very smoothly and glide round really cleanly.” Finding the right line is crucial for this left to right combination. “If you enter the bend too aggressively you can lose a lot of time.” So: Choose the correct braking point and avoid oversteer. The sharply banked carousel of the Nürburgring known as the “Carraciola-Karussell” is another of the bends to feature on the Leipzig circuit. Deep concentration is the only defence against the exaggerated banking of this bend with its 180-degree hairpin and 33-degree gradient. “You have to find just the right entry point then you can basically “fall” down this bend – it really is steep”, says Tilke. Choosing the right line and speed is important as you exit the bend. The g-force in the final third is vigorous. If you are going too fast at this point you have no chance. This is the famous “Bus Stop chicane” from the Circuit of Spa-Francorchamps in Belgium: The tight left-right-left combination demands courage and perfection. To master this bend, drivers must stay perfectly straight, then turn the car and accelerate out of the curbs under full load. The right to left combination at “Suntory Corner” was originally found on the “Fuji Speedway” race track in Shizuoka, Japan. After braking hard and downshifting, this curve requires a sensitive load change – this is the only way for the vehicle to exit the huge curve radius and go straight into the next extremely tight bend. The 9:11 Magazine takes you on the Leipzig circuit in this episode. The best combination of corners in the world?